How SMT workshop planning? It turned out to be so useful. And only after the plant began production found that some areas have not planned beforehand, need to be adjusted, resulting in a waste of human and financial resources and valuable production time. Therefore, it is important to check in advance SMT factory layout, especially for new SMT factory business, because there is no experience in SMT plant layout, the need to pay attention to the elements is not very clear, if we find a problem in the layout after production point, will cause some unnecessary losses. So, when doing layout SMT plant, what to pay attention to what matters in advance to do to prepare? Here actual cases where we work to and we explore this problem. the client recent planning new on two identical SMT production line, specific device configuration (see FIG. 1) and the size of the apparatus is as follows: According to Figure 1 can be seen, the maximum width of the production line equipment is 1.71 m, the length of all devices sum is 13.6 meters, will add future planning a production line (line bulk on equipment configuration). Workshop length 36 m, width of 12 m, an area of 432 m2, on the ground floor of the factory. Currently common ground for the shop floor, and no established anti-static system, can not meet the requirements of SMT antistatic workshop, but two conductive ground terminals, can establish subsequent workshops antistatic SMT system. Further, there is no air conditioning workshop and humidifiers, can not meet the requirements of SMT workshop temperature and humidity control. 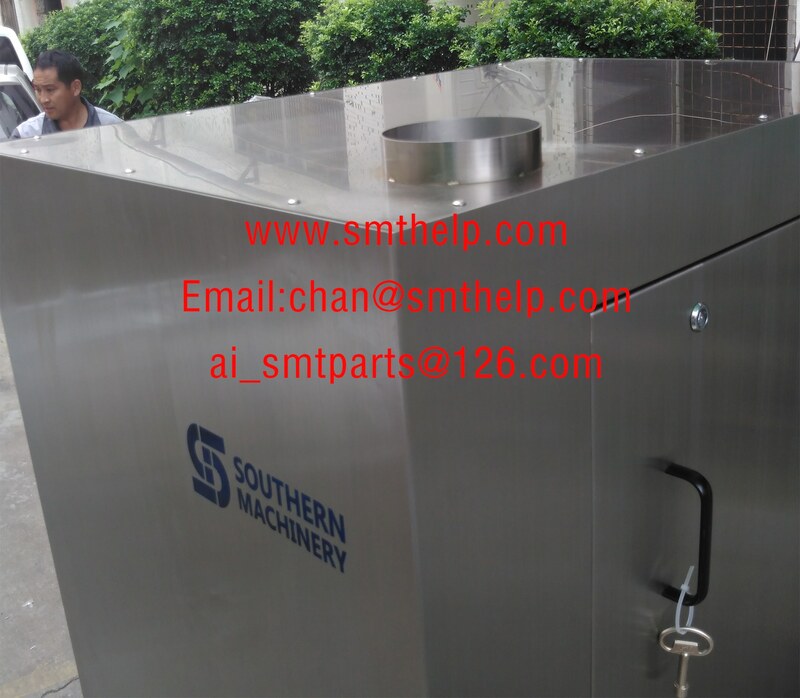 There workshop ventilation system, back to meet the requirements of the reflow furnace equipment. Workshop sufficient power to meet the electricity needs of all equipment in the workshop. There are two entrances whole plant, as are required to meet the equipment, raw materials and semi-finished channel. Special materials warehouse in another workshop, the need for planning. Good lighting conditions in the workshop, to meet the brightness of the SMT shop lighting requirements all stations. Whole plant layout situation shown in Figure 2. 3, each production line starting position as consistent as possible, so that the whole plant orderly arranged in three lines. 4, check the wire tail is generally a repair plan area, quality control personnel can perform sampling line tail region. Based on the above considerations, the length of each line should be at least 13.6 meters (without regard to the maintenance area and the tail, the case where the sampling area and the thread area kanban), the width should be 2.7 meters (SMT feeding both surfaces), specifically as shown in Figure 3. Therefore, the production line is positioned in substantially considering plant shown in FIG. 4.
after determining the approximate location of the production line, when the need to consider some details of SMT production line requirements, and then to determine the exact location and the location of other auxiliary equipment SMT line. fire extinguishers to be placed around the side of the post and SMT plant, placed according to the requirements of fire regulations. 2, the car rack placement region; car rack replacement for SMT production line models and switching material, in order to facilitate production and to improve the efficiency of replacement materials, preferably the vehicle is placed near the rack placement machine. stock table mainly used in the production process and dryer materials stock preparation before switching, therefore, to be placed near the preparation station placement machine, and the best car rack together, Preparation facilitates directly on the car frame after a good feed material. printing station for positioning the shelf aids in the production of printing presses, such as wipes, paste, alcohol, etc., to be placed in the vicinity of the printing press to facilitate removal use, improve Productivity. region comprising placing solder paste storage refrigerator, solder paste mixer, paste warmed cabinets, can be placed next to the plant as required or uprights placed around a fixed area of the plant, However, to facilitate the operator to take place. in order to facilitate visual inspection after reflow and rework semifinished product, a shelf generally placed in the furnace, designed for the visual inspection of the furnace and rework. 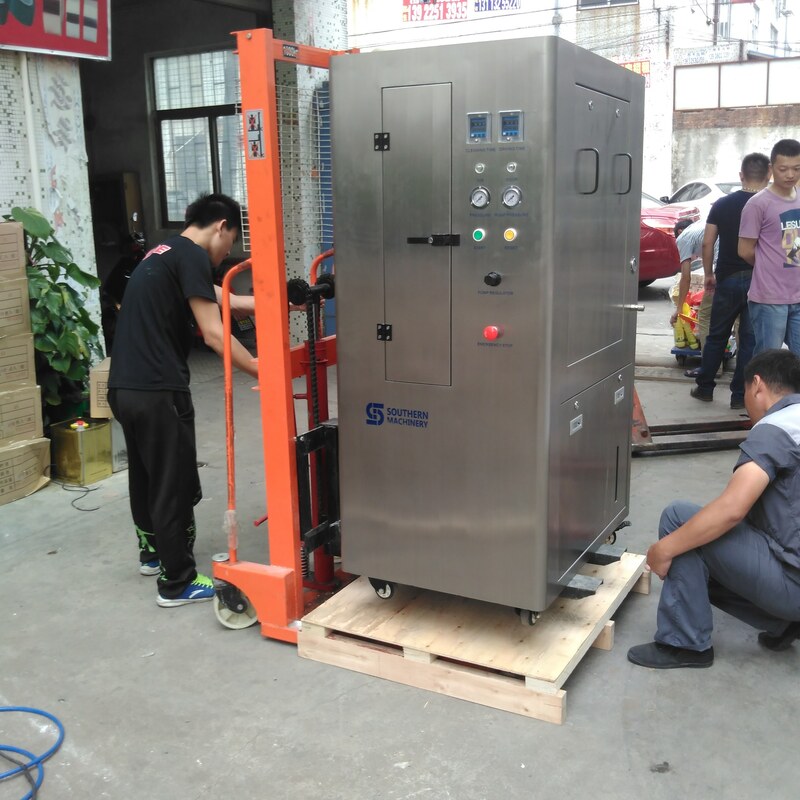 drop zone comprises a mesh screen plate was placed cabinet, stencil cleaning machine, inspection tools, screen, stencil for storing, cleaning and inspection screen tension, etc., while in the region as much as possible to facilitate the production screen to take place. Production waste mainly from two parts, wipes and the like used in one printing operation, the second is to replace the waste tray and waste material produced with the like. Garbage two parts is generated to be placed separately, specialized recycling, in particular waste presses used. Thus, waste area may be placed next to the press machine or patch, or set beside the column region refuse placed separately placed. kanban including the SMT billboards and other signage quality management, may be centrally located on the entrance into the shop, and also set up the production line Kanban state in which each head of the line, in order to view the producers and managers, promptly understand the current state of production status and quality SMT workshop and so on. include products produced finished products in two parts, to separate the two partial regions divided out, strictly distinguished, in order to avoid confusion. Nozzle including the SMT spare parts, a motor, a belt, cylinder or the like, to be placed in a special area, to facilitate the production of access. temperature and humidity conditions in order to better understand the SMT plant, depending on the size of the workshop area, several appropriately set the temperature and humidity measurement area, generally placed on the production line next to the column or wall. let engineers and technicians and management personnel in office SMT shop floor, which can solve the problem on technology and management encountered in the production, to ensure the smooth operation of the SMT production lines. entry into SMT workshop area must have good anti-static measures. You may delineate the area in front of the plant, including the replacement of static clothing, shoes, hats and so on each employee’s locker. Also, the establishment of regional designed to test the static ring in SMT workshop at the entrance, so that each employee to do static loop testing and record test results before going to work. Based on the above analysis, the results of this SMT plant layout is shown in Figure 5.
shop floor must be anti-static treatment, a common anti-static conductive flooring and paint and other ordinary places, customers can choose according to the actual situation. In addition, anti-static system must be set up in the workshop, to meet the requirements of the entire anti-static SMT workshop. 2, air-conditioning and a humidifier; SMT workshop to meet the requirements of temperature and humidity control. in the warehouse, with particular attention to the way the material is stored, reel packaging methods, the use of hook-type place, wetting elements employed Cabinets for placement shelves to be treated with anti-static manner. preferably introduced directly from the production line at the down side of the roof, is arranged below the gas passage in the device and circuit wrapped with wire groove. needs to be installed to meet the requirements of the three power lines of the blower, and the third exhaust port reserved line. 2, for aids, regions, etc. SMT production lines need to make the corresponding position location; 3, according to the SMT the characteristics of the plant, some of the necessary factors to consider in planning, in particular, anti-static; 4, in accordance with the requirements of the current situation and future development of the factory has been take into consideration, unified planning. For SMT plant layout, but also requires a combination of size and product requirements and other plants to consider a number of factors, but to stimulate here. We are working to make it easier for you to request a CAD file at SMThelp.com. Just visit our new and growing library of CAD files for you to download or click "Request a CAD file" and we will deliver the file you are looking for. We aim to help the world elevate to a more educated level of EMS planning and production. This is our step to help you with the best product planning and development. Let our expertise guide your production to maximum efficiency and ROI. We currently have Gerber files for free download on microcontrollers, mobile chargers, power supply controllers, and more! Don't see what you need? Just ask for it, we've got you covered! The S-320 Machine is low cost and thoroughly fulfills LED Manufacturing Requirements. We use high grade, imported parts for the S-320 that both prolong the life of the machine and also lowers costs. We make the best manufacturing decisions that save you time and costs when developing your LED Assembly Line. According to Google Trends Ranking, when comparing popular lighting source search trends it is clear that LED is the powerhouse lighting source. The expansive reach and use of LEDs in today’s tech world make it almost unfair to compare it to other lighting sources but we’ve done it anyway. Below is a graph that displays the overwhelming rise in rank of LEDs since 2004, especially compared to it’s CFL and Incandescent counterparts. 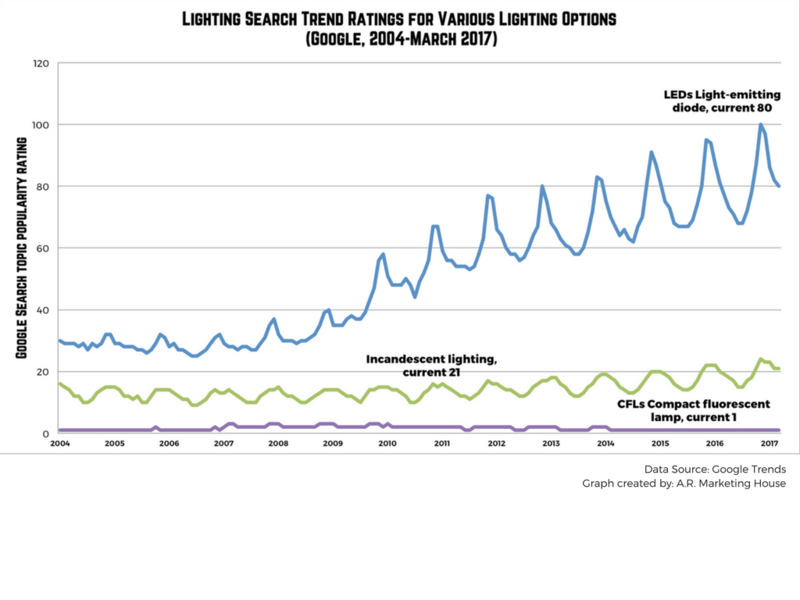 Data was collected from Google Search Trends comparison of three lighting sources as a general topic i.e. LED as a general search topic and all related search terms, CFLs as a general search topic with related search terms, and incandescent lighting as a general search topic with related search terms. Click here to see what countries rank highest for the interest in LEDs. Southern Machinery has over 20 years of experience, carefully designing your customized tailor-made SMT machines to fit your production. Investing in a customized FULL SMT line for your LED manufacturing will improve your quality, productivity, and reliability. Need to Order Spare Parts? We Have a Deal just for YOU this April, 2017 ! 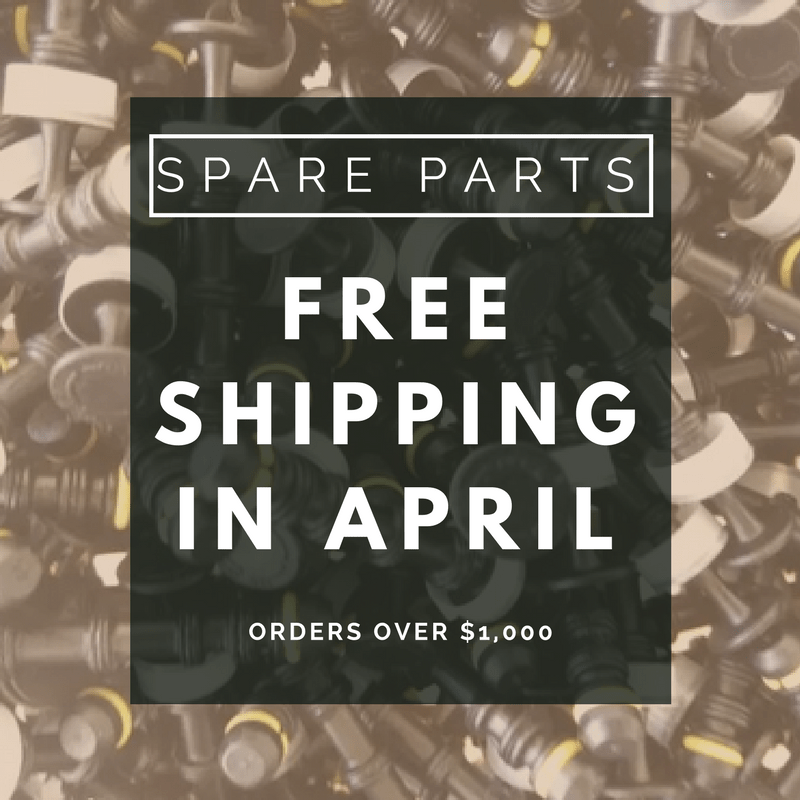 This April 2017 we are extending an extra special offer on spare part orders. Receive Free Shipping on any order that exceeds $1000. Southern Machinery wants to see your Factory thrive! That is why we make it convenient and easy to order spare parts from us! Ensuring the Best Design for Final PCB Production Stage with Testing! Ensuring the Best Design for Final PCB Production Stage with Testing! Ensuring the Best Design for Final PCB Production Stage with Testing! PC Board errors are a drain to EMS productivity. Through analysis and testing PCBs in the pilot stages, a smoother and more educated production set-up can be achieved. By performing automatic impedance measurements and testing of components (chip resistors and capacitors) early on, you can ensure the best design for production. Once you have planned your PC Board with best practices, Southern Machinery’s High-Speed In-line Circuit Board Test Machine will help with testing by incorporating a visual inspection function which allows mounting status checks on each component (e.g. : typo descriptions in alphanumeric characters, orientation, size) on the operator’s monitor will serve to best analyze testing up close. As well as automatically generating test data from mounting data and component list. For cleaning various stencils and misprinted PCBs, the combination of features offered by our S-1688 make it a unique, truly automatic cleaner. The threshold for usefulness of automation is allowing the operator to walk away from the process without worry. Stencil cleaners that require manual positioning and movement of stencils require attention from experienced operators to ensure consistent cleaning. 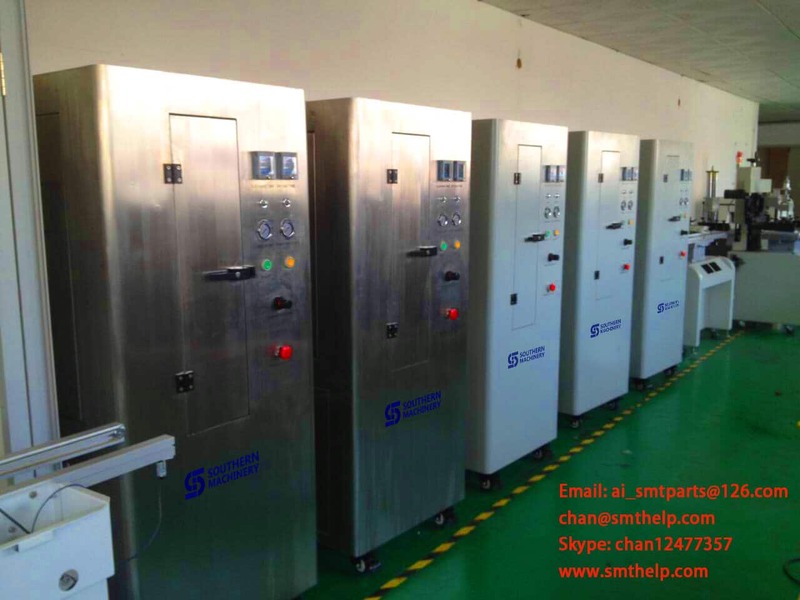 No-rinse, aqueous cleaning agents for 100% closed loop process, for conformity to present and future economic and environmental operating requirements.The operator can start the cycle and walk away from the cleaning operation. Also, its compact footprint, integrated castors, and trivial connection requirements-its only connection is to a 240 volt outlet, with no water or drainage requirements-make it very flexible. Pneumatic design of stencil cleaning machine adopts full pneumatic control wash, to clean the stencil type circuit board, can effectively remove the solder paste and flux residue driven by the pneumatic logic control and efficient, fast, safe is cleaning the stencil current and recommended method, using rotating efficient atomization spray arms, four heavy solution filtration cycle use, simple maintenance, all stainless steel body, guarantee the life span.Adjust the appropriate screen hanging rack, move to clean items to center position, can be carried out on the screen or circuit board cleaning. Before the manufacturing course begins, business necessities require an in depth verification and comparability of product design vs. manufacturing outcomes, often called First Article Inspection (FAI). Frequently used within the aerospace, medical electronics and automotive industries, FAI studies have gotten an ordinary course of to make sure high quality and consistency of the ultimate product is in order. Although conducting FAI could be advanced, technological developments and person pleasant software programs have allowed customers to implement and execute this course of shortly and precisely. What is First Article Inspection? As an official authentication technique for production, FAI intention is to overview and authorize dimensional studies. FAI stories make the most of dimensional properties of a manufacturing like design specs, to make sure of consistency or uncover any deviations. This inspection ensures reliability and repeatability of the manufacturing course, in addition to making certain the producer’s capability to provide elements in accordance with specifications. What is the aim of FAI? The FAI report supplies a tenet for goal affirmation that every engineering design and specification is appropriately understood, accounted for, verified and documented. Develops a transparent understanding and communication outlet between purchaser and provider. Verify the accuracy of drawings, making certain that each adjustments made to any part of the designs are accounted for. Validate all tooling used for production, guaranteeing the instruments’ capabilities to supply all required elements at defined and accepted speed. Ensure manufacturing course is succesful and might meets the entiretly of all manufacturing needs. When is FAI report crucial? Before proceeding with manufacturing elements, FAI studies will be helpful in figuring out whether or not a production course of action is able to deliver elements constantly within design parameters. Furthermore, FAI studies present construction between buyer and provider for understanding and verifying the final mission necessities. FAI additionally assists buyer and provider with communications and help to avoid future miscommunication. This course of action additionally ensures that you will be using the precise supplies and instruments, offering an efficient initiative for the anticipated outcomes for manufacturing. A full FAI requires that each field has been accounted for. With a partial FAI report, any subject missed will affect the FAI sucess. In regards to any excellent fields, they might be crammed out at a later date or utilizing earlier knowledge, on condition that it applies to the precise traits of duplicate elements produced by the identical manufacturing course of action. Records for the manufacturing course of action– manage actions to be executed all through FAI course of and accountable suppliers/organizations. Ensure authorized materials sources, laboratory and relevant manufacturing, planning, routing and buying are in accordance with the specifications.